Long,long ago, in the days when I was editing this fine newspaper and still had hair, I was often driven to pull out large clumps of it in frustration at the way the police refused to harness the eyes and ears of hundreds of thousands of readers in the fight against crime. I lost count of the discussions I had with officers of varying ranks, from chief constables down to constables, trying to persuade them that working closely with the media was a far more effective means of detection than relying solely on the efforts of their dedicated, but ultimately under-resourced, officers. There existed an attitude of run-along-son, we-know-what’s-best, and I believe fervently that huge opportunities went begging because of arrogance at the highest level of what were then Grampian and Northern Constabulary forces. Trying to persuade them that the success achieved on a national level by the BBC’s Crimewatch programme could be replicated on a local level with the power of the Press and Journal, Evening Express, Grampian TV (as was) and Northsound Radio was a supreme exercise in total futility. My suspicions were that this reluctance stemmed from a deep-rooted and illogical reluctance to let people know the true level of crime in our communities. It was round about this time that senior police officers became invisible, hiding behind a network of press officers, who became the face and voice of the police without being provided with the information to enable them to fulfil the job they were employed to do. Finding out information became almost impossible, so many journalists gave up trying, preferring instead to busy themselves on topics which were less troublesome and yielded more copy. The only time the general public were reminded of the existence of senior ranks was when they were trotted out at the annual press conferences to launch Christmas drink-drive campaigns or other such worthy efforts. Senior police became so detached from communities that their priorities became totally different from those of the public they were meant to serve. They were very frustrating days. Suddenly, however, the tide appears to be changing, certainly in the north-east. A Facebook page set up by North East Police Division, and liked by nearly 90,000 people, has become an invaluable source of information for people and has successfully – apparently at least – harnessed the efforts of the vast majority of law-abiding people in a way which I can never recall happening before. Several times each day, details appear of crimes committed or vulnerable people missing, with the kind of in-depth information needed to support the appeal for witnesses. 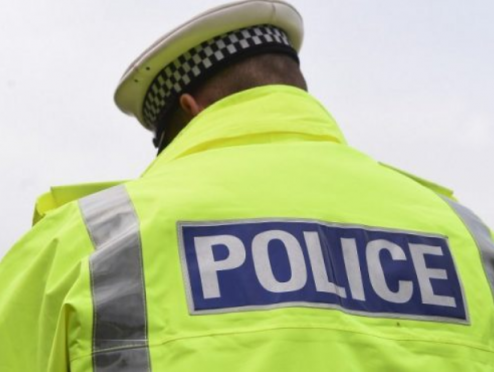 Only this week, police appealed for help in tracing a man who had allegedly indecently assaulted a teenage girl in Aberdeen. The appeal gave details of a bus journey she had taken, and the roads she had walked along after leaving the bus, together with a description of the man suspected of being responsible. In the old days detailed above, I suspect this case would have been kept out of the public domain, would have eventually withered on the vine and another victim of crime would be left resentful and in fear of a recurrence. In this seemingly enlightened age, however, a man was arrested within hours and will now be dealt with by the courts. This is not an isolated example. Every day, success stories are related of people arrested for crimes such as housebreaking, violence and theft. Far from feeding the fear of crime, I strongly believe that pro-active policing like this helps to reassure people that the fight against crime is one which can be won if we all play a part. Not every incident will be resolved successfully, of course, as the sad, baffling disappearance of 16-year-old Aberdeen schoolboy Liam Smith demonstrates. He has been missing for two months to date, and the search for him appears to have gone cold almost from the moment he stepped off a bus at Crathes, in Royal Deeside, on the day he disappeared. The fact he has not been found is in no way down to a lack of effort on the part of police, as their frequent posts on Facebook have proved. Their embracing of social media in such a highly-targeted manner has mobilised tens of thousands of people right across Scotland and beyond to the extent that rarely can there have been a mystery for which so many have prayed for a positive outcome. Further proof of the level of interest in Liam, which also serves to prove the continuing relevance and importance of newspapers such as the Press and Journal, can be found in a P&J video reconstruction of his last known movements, which was viewed an astonishing 1.8million times and shared by 53,000 people. It would be interesting to know what senior officers in other divisions of Police Scotland, and in the rest of the UK, make of this new era of glasnost in the north-east. They certainly must be painfully aware that the squeeze on police budgets requires them to look at innovative ways of tackling increasing crime with diminishing resources. It will be astonishing and unforgivable if they don’t embrace the example being set by the North East Police Division. People power is by far the most effective weapon in the war on the criminal.